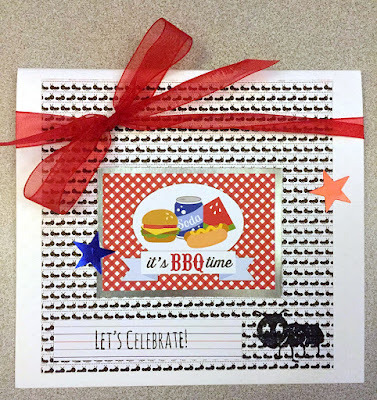 The Rubber Cafe Design Team Blog: It's BBQ Time! Thanks for stopping by today! 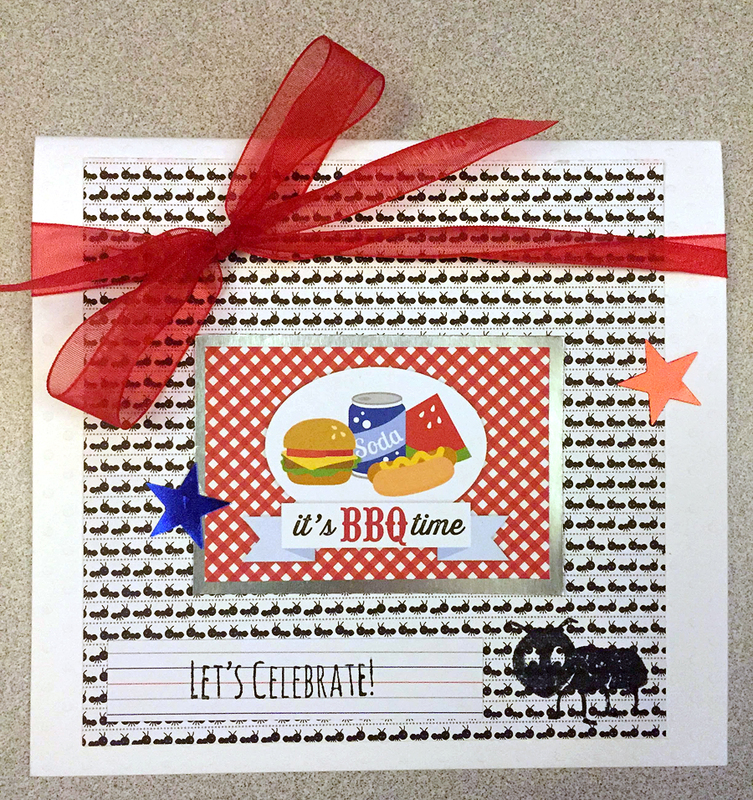 Stephanie here, featuring an invitation I created with the Home of the Red, White, and Blue kit! This month's kit is filled with patriotic, fun and festive, picnic themed papers and embellishments. It was a clean and simple card which is typically my style, but I really love the red bow to give it a pop of color! I layered the silver with the cut apart from one of the paper pad sheets and added the last few elements! I'm usually a layout maker, but cards are really fun, too! I hope you enjoy today's card! Thanks for checking it out!